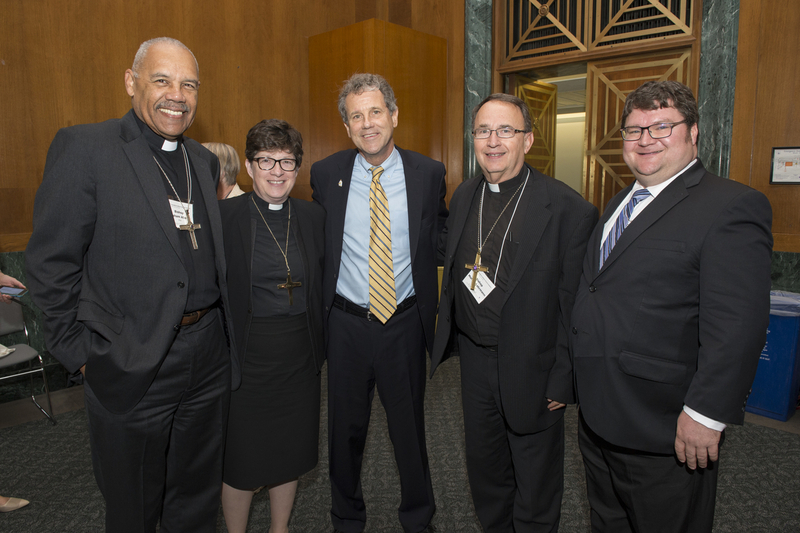 I recently spent three days in Washington, D.C., with several of my fellow bishops, learning first-hand how faith intersects with public life. No, we didn’t see the Pope. That’s the question most people ask me. However, we did see his speech to the joint meeting of Congress on a closed-circuit television feed. Though our event was scheduled long before it was known that the Pope would be here, the coming together of his visit and ours could not have been more divinely ordained. The same issues we were championing were also articulated by Pope Francis, and much more eloquently, I might add. The official name for our gathering was the Evangelical Lutheran Church in America’s 2015 Advocacy Convening. Along with leaders from other Lutheran agencies and community advocates from across the country, we joined together for two days of learning and discussing social and economic issues that affect the people we serve. Then we visited Capitol Hill to meet with members of congress to voice our views on those matters in hopes that they will be sympathetic to our causes. It was, as the Rev. 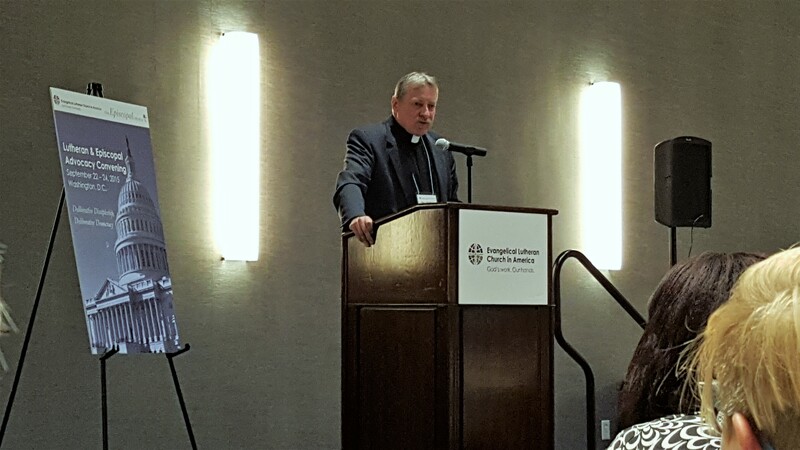 Stephen Bouman described it, “putting our voice and hope, on behalf of the people of God, in the public arena.” Bouman is the Executive Director of the Congregational and Synodical Mission Unit of the ELCA. This was my first time taking part in this annual event and it gave me a much different perspective of what I had imagined Congress to be. A group of four of us from Ohio met with staffers in the offices of Senator Rob Portman, and Representatives John Boehner and Tim Ryan. These young, mostly recent college graduates, listened attentively and courteously to our stories and requests without making any commitments or promises. It was a pleasant dialogue, quite unlike the image one is likely to have from all the highly polarized, partisan bickering that is seen on television. 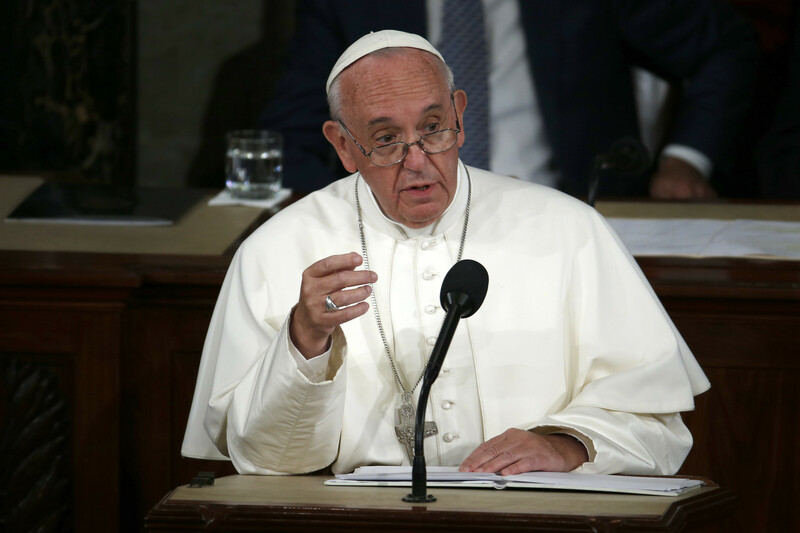 As I mentioned earlier, our visits occurred on the same day Pope Francis spoke to Congress. I was struck by how this seemingly kind, gentle man was able to admonish our nation’s legislators while at the same time affirming the work they do. Your own responsibility as members of Congress is to enable this country, by your legislative activity, to grow as a nation. You are the face of its people, their representatives. You are called to defend and preserve the dignity of your fellow citizens in the tireless and demanding pursuit of the common good, for this is the chief aim of all politics. A political society endures when it seeks, as a vocation, to satisfy common needs by stimulating the growth of all its members, especially those in situations of greater vulnerability or risk. Legislative activity is always based on care for the people. To this you have been invited, called and convened by those who elected you. A week has gone by since the Papal visit, and I pray we don’t lose the spellbinding enthusiasm that Pope Francis generated during his time on our soil. Our real strength, as a church, as a nation, and as God’s people, comes from our spiritual nature in showing compassion, tolerance, and a deeper understanding of our humanity. Ultimately, if we are to have a lasting peace in our world, we must include all God’s creatures in our vision of mercy and compassion. Thank so much for this message. I always enjoy your words of wisdom. Thank you for sharing your experience and for your work for the Gospel!